* This is a free event, if you don't have an ICTAM login, register above under guest, or email stownsend@ictam.ca for login information. This session is geared towards both junior and senior Data professionals and leaders. Structured as a technical talk focusing on leading-edge data practices, the information shared can benefit Data Professionals at businesses of any size. Session attendees will be able to enhance their SMEs, and contribute to their organization in continuous, real-time data movement. At Skip, we have millions of orders coming from over a million active customers for food from thousands of their favorite restaurants each month. With that, we’ve accumulated terabytes of data from different applications feeding into RDS Databases, which in turn feeds into our internal systems for queries, analytics, machine learning and statement generation. These heavy operations increase the load on the application databases, which results in challenges for all stakeholders. How can everyone at SkipTheDishes have access to near real-time data? Where traditional ETL fails to meet the demand, Skip’s Data Team have designed a solution using Kinesis stream. This solution streams data as the events occur on the application side into our Data Lake. The Data Lake is made accessible to different internal teams using Athena tables and Redshift using Redshift Spectrum. 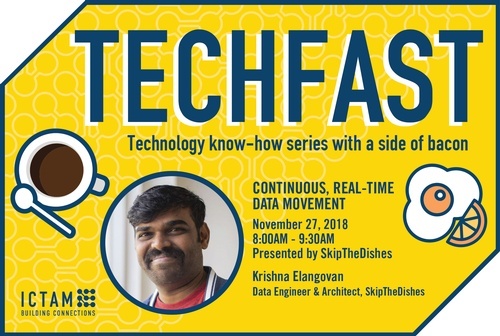 Krishna Elangovan is a data engineer and architect with SkipTheDishes. 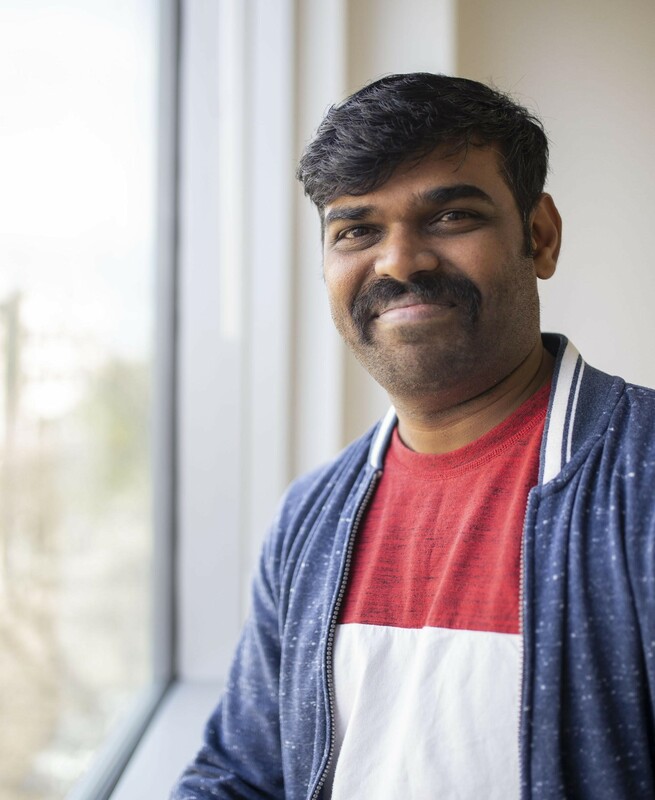 As a key player in the Data team, Elangovan develops ways to make data available across the organization using cutting-edge technologies such as AWS Cloud, Spark, Kenisis, and Glue. Elangovan is passionate about data engineering, data science, and scaling from the ground up on AWS Cloud. The technology and Elangovan’s expertise allow Skip to meet the unique demands of its internal operations. SkipTheDishes is Canada’s leading and largest food delivery platform, using seamless technology to make great food more accessible to from coast to coast. With more than 14,000 restaurant partners in 115 markets nationwide, Skip now facilitates millions of orders monthly for hundreds of thousands of customers. The company’s full-scale technology and logistics platform includes proprietary apps for customers, restaurants, couriers, and the Skip website. SkipTheDishes is proudly part of Just Eat, a leading global marketplace for online food delivery headquartered in the UK. For more information, visit www.skipthedishes.com. There is no cost, please register to attend.